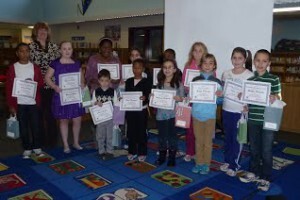 This committee organizes the student’s participation in the PTA sponsored Reflection Art program. The event is held in the fall with the judging and awards being presented in the winter. Each year hundreds of students participate in the Reflections Program. When children express themselves through words, pictures, music, dance, and film, they grow intellectually and socially. The Reflections Program is designed to enhance a quality arts education by providing an opportunity for students to explore their artistic talents and receive positive recognition for their efforts. Rockburn PTA will host a breakfast ceremony to recognize all of the participants and announce those who will be moving on to the next level of competition.